Lately more and more Instagram profiles have started using Instagram shoppable posts for selling their products directly in the app. 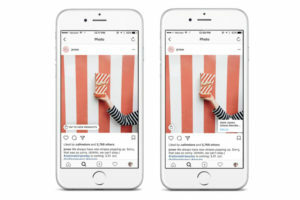 There used to be only 2 options for businesses that wanted to share links to their products and direct their followers to other websites: placing clickable links in Instagram stories or putting them in the bio temporarily. 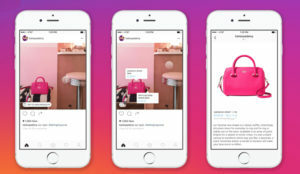 But with this new addition on shoppable posts you can significantly increase your revenue by tagging your products in photos that showcase them and placing a link to the product page right there in your post. Unfortunately, not every business account can use the shoppable feature. First of all, your business needs to be located in one of the 46 countries where the function is supported, your products need to be in line with Instagram’s merchant agreement and commerce policies, and you also need to have a business Instagram account, luckily, it is very easy to switch. You also need to have a phone that runs either on Android or iOS and have the latest version of the app downloaded. The last requirement is to connect your Instagram profile to a Facebook product catalog. First of all, you need to log in with a Facebook account that belongs to a business manager who owns the Facebook business page connected to your business Instagram account. Then go to Business Manager Settings page, click on People and Assets, choose Catalogs and press “+ Add”. This will create a new catalog for your products - go ahead and name the catalog and choose what type of products it’s going to hold. Once you’re done adding the products, you’re all set! There are several other options you can use for creating Facebook catalogs. For instance, if you’re located in the US, you can create a special “Shop” section on your Facebook business page. You can also use other platforms, such as Shopify and BigCommerce for this purpose. 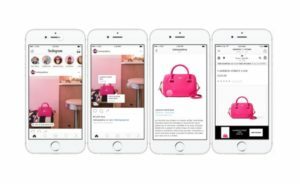 Before you can post and tag your products on Instagram, Instagram needs to review and approve your account for using shoppable posts. Normally, this takes from a couple of hours to a couple of days. Once you’re approved, a notification will pop up inviting you to tag products. Next, you need to go to Shopping in your Instagram app and click Products. Then, choose a catalog from the presented list and click Done. After that, create an Instagram post like you would normally do it. Then when you get to the Sharing screen, tap Tag Products, search for the product you want to tag and choose it. Tap done and you’re all set!